'Embers' is the brilliant new EP from North London duo, Flyt, who now having resurfaced after a nine-year absence are already looking to make up for lost time with an exciting onslaught on 2018. Released through their own Space Between Records, 'Embers' follows the beautifully-laid groundwork that their 'Soul Mentality' debut set out in 2008: an exciting blend of nu-soul, R&B and chillout and all brought together by Mary Mycroft's exquisite and dreamy vocals which are matched perfectly with Josh Mycroft's fantasticly lush soundscapes. 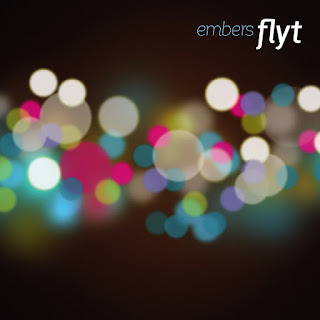 'Embers' is five tracks of sonic bliss and with more releases from Flyt currently scheduled for early-2008, this acts as the perfect introductory teaser for what lies ahead.